• Ah, the fickleness of fandom. I find it fascinating that some of the same fans that wanted Alex Anthopoulos fired in May are now the angriest that he’s leaving. Some baseball pundits have suggested that Anthopoulos would be a good fit with the Miami Marlins who recently fired general manager Dan Jennings. But Anthopoulos, who was born in Montreal, wouldn’t possibly work for Jeffrey Loria would he? • Speaking of former Toronto Blue Jays general managers, Gord Ash has been removed from his role as assistant general manager with the Milwaukee Brewers. The Toronto native, who served as the Blue Jays GM from 1995 to 2001, had worked as an assistant to Doug Melvin (Chatham, Ont.) since 2003. The writing appeared to be on the wall for Ash after Melvin announced he was stepping down in August. The Brewers hired David Stearns as their new general manager in September and Stearns has hired former Tampa Bay Rays director of player personnel, Matt Arnold, to be his assistant GM. Ash has been offered another role in the organization. • Thirty six years ago today, the Blue Jays traded Rick Cerone, Tom Underwood and Ted Wilborn to the New York Yankees for Chris Chambliss, Paul Mirabella and a little-known prospect named Damaso Garcia. Just over a month later, the Blue Jays swapped Chambliss to the Atlanta Braves for a package of players that included Barry Bonnell and Joey McLaughlin. And while Mirabella was mostly ineffective in parts of two seasons with the Jays, Garcia blossomed into an all-star second baseman. 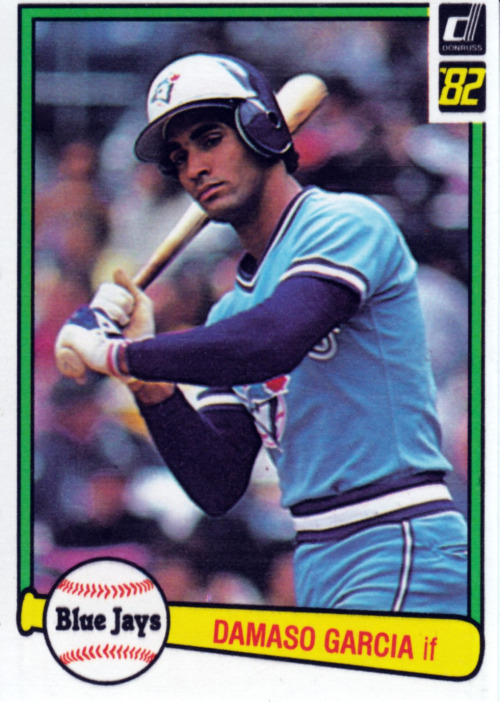 In his seven seasons with Toronto, Garcia was selected to the Midsummer Classic in 1984 and 1985, won a Silver Slugger Award in 1982, batted over .280 five times and was the leadoff hitter on the Blue Jays’ 1985 division-winning team. This trade still stands as one of the most underrated transactions that Pat Gillick made as Jays GM. • It was revealed late on Wednesday that the next manager of the Washington Nationals will be quasi-Canadian Bud Black. Black, who pitched parts of 15 major league seasons, including three games for the Blue Jays in 1990, managed the San Diego Padres from 2007 until June 15 of this season. Black’s father, Harry, was born in Calgary and raised in Edmonton and later played professional hockey and helped establish the hockey program at the University of Southern California, while his mother was born in Melville, Sask., the hometown of Canadian Baseball Hall of Famer Terry Puhl. • With the baseball awards season right around the corner, just a reminder that the Canadian Baseball Hall of Fame will be announcing the winners of its two annual honours in late November and early December. The Jack Graney Award, handed out to a media member for their lifetime contributions to baseball in Canada, will likely be announced in the last week of November, while the Tip O’Neill Award, recognizing the top Canadian player, should be unveiled the following week. • This is not a Canadian baseball story, but it’s one of the best things I’ve read on the back of a baseball card. The back of New York Giants catcher Wes Westrum’s 1954 Bowman baseball card reveals that “one season he was using a piece of raw steak in his glove to ease the pounding of the ball into a bruised hand.” Can you imagine Buster Posey behind the dish today with an eight-ounce sirloin in his mitt? • This week’s trivia question: Who was the last Canadian to hit a home run for the New York Mets? Please provide your answer in the “Comments” section below. The first person to provide the correct answer will win an Aaron Sanchez rookie card. Thanks, Brent. You are close with your guess. Nickeas was the second-last Canadian to hit a home run for the Mets. You are correct, John. Thanks for participating. Drop me an email at kevin.glew@sympatico.ca and I’ll send out the card to you. Thanks again. I enjoyed reading your “stuff” …at the price of steaks today it would take a rich ballplayer to use inside his mit!! Thanks for the comment. Yes, I agree about the steaks. Yes. AA does know what he’s doing, but Rogers has no clue. Jays were so close this year, and now…. Sorry to hear about Gord Ash. Makes sense though as with Melvin not being the GM anymore the new GM will want to work with his own guys. Jason Bay was a fantastic player and you don’t hear enough about him anywhere.